Hi and thanks for stopping by my blog. 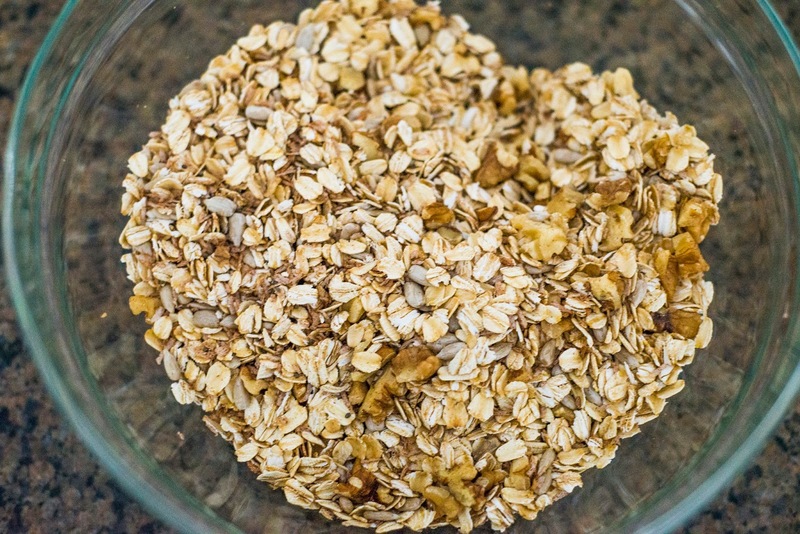 Today I am sharing a quick, easy and healthy granola recipe. 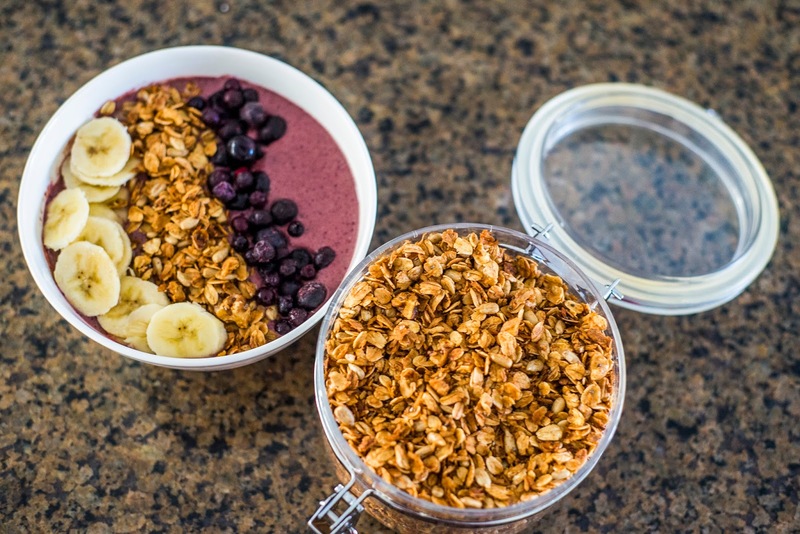 I am huge fan of granola and it has become a favorite topping in my smoothie bowls. I eat it as a snack as is, add it to my parfait and I am thinking of new ways to add it to my diet. 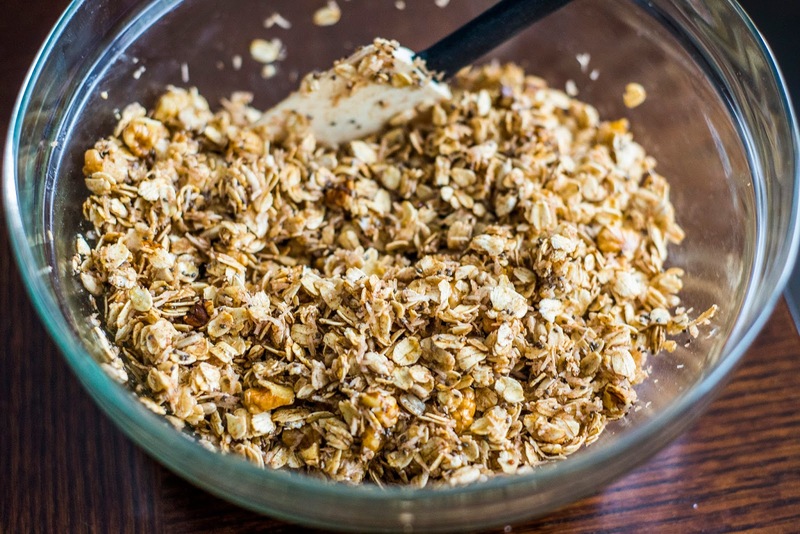 I usually buy it from the store but trust me there is nothing like freshly made granola. The crunch is simply different. 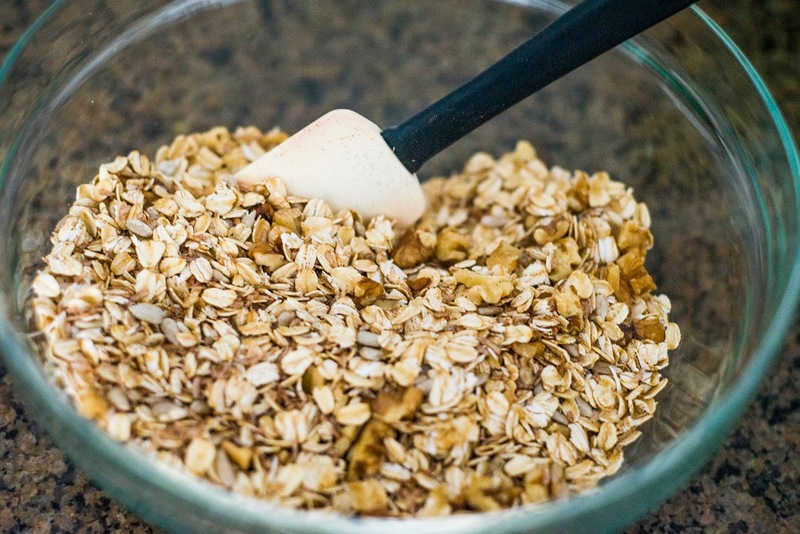 The best part of making granola is the liberty to add ingredients that you love. My only advice is to make them with healthy ingredients, because they are pretty addictive, lol. 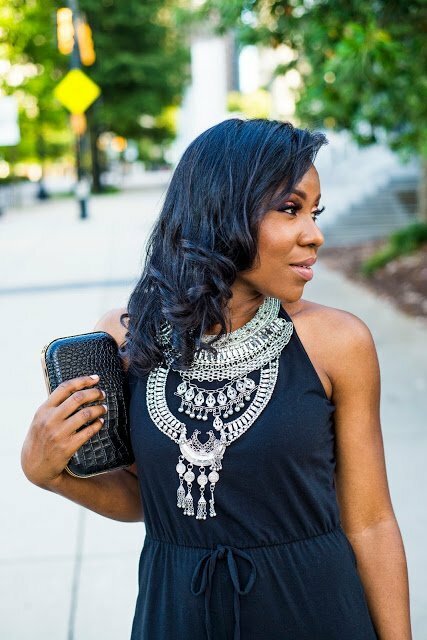 I made a few changes to this original recipe by my friend Young Empress. Preheat oven to 340 degrees. 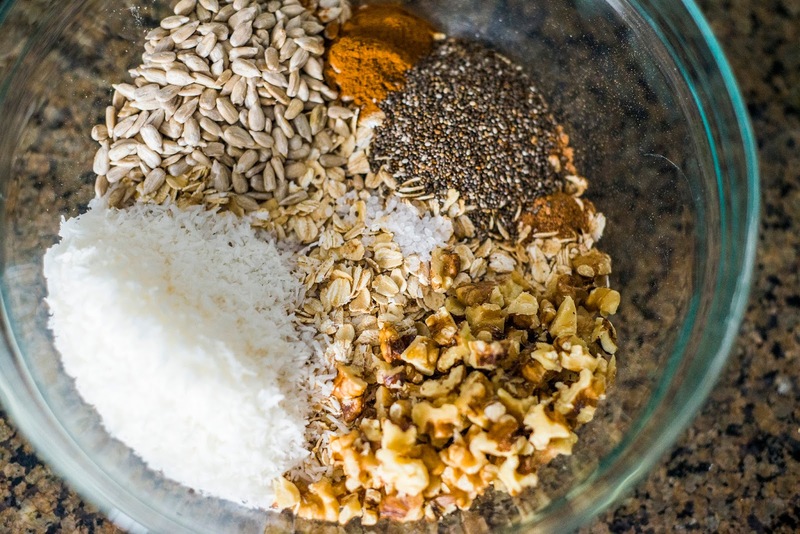 Mix oats, nuts, sunflower seeds, chia seeds, coconut flakes, salt, cinnamon, and nutmeg in a large bowl. 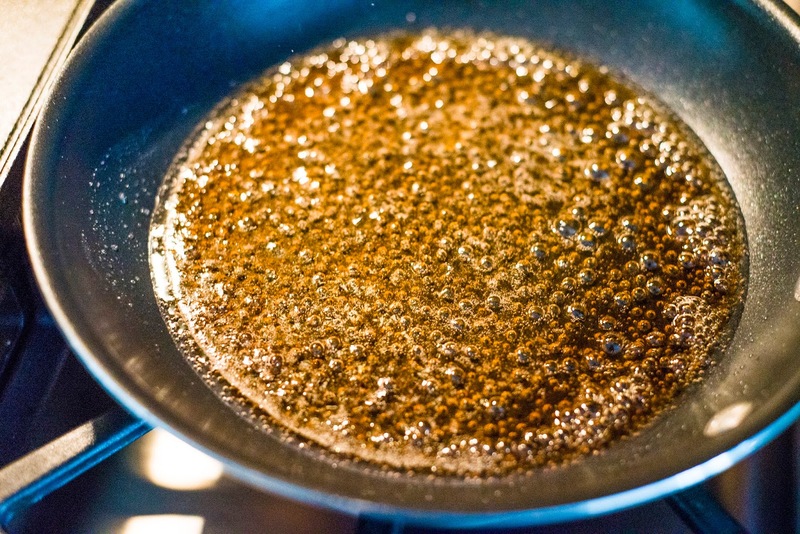 In a small saucepan on medium low heat, combine the maple syrup, honey, coconut oil, and vanilla extract until it just begins to boil (about a minute). Then pour into dry ingredients until totally combined. 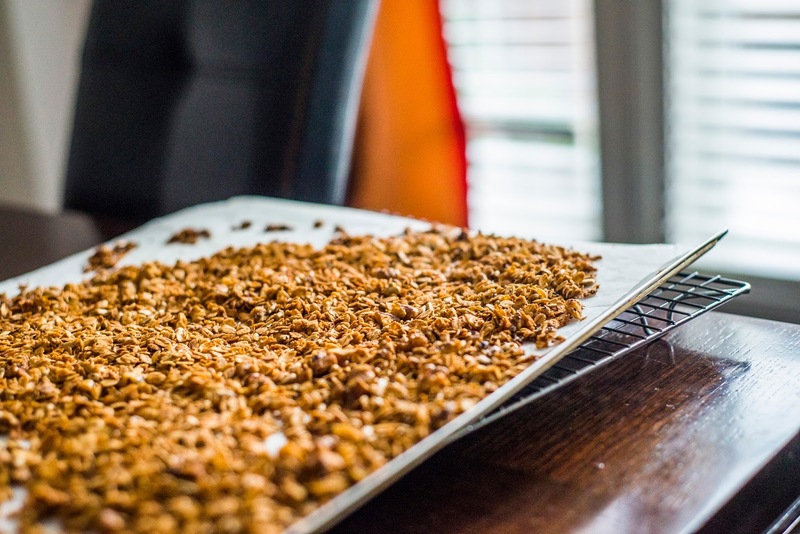 Spread granola mixture evenly on a baking sheet lined with parchment paper. 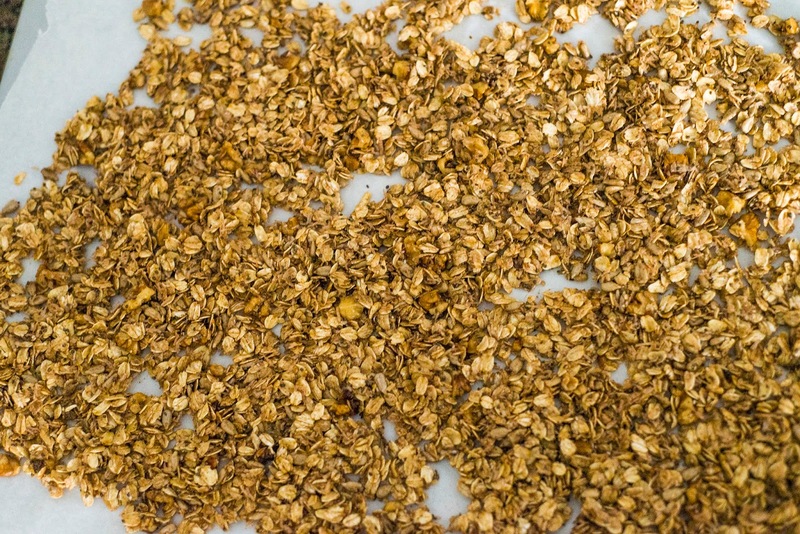 Place in the oven and allow to bake, tossing every 5-7 minutes or so, until the granola turns a deep golden brown color. 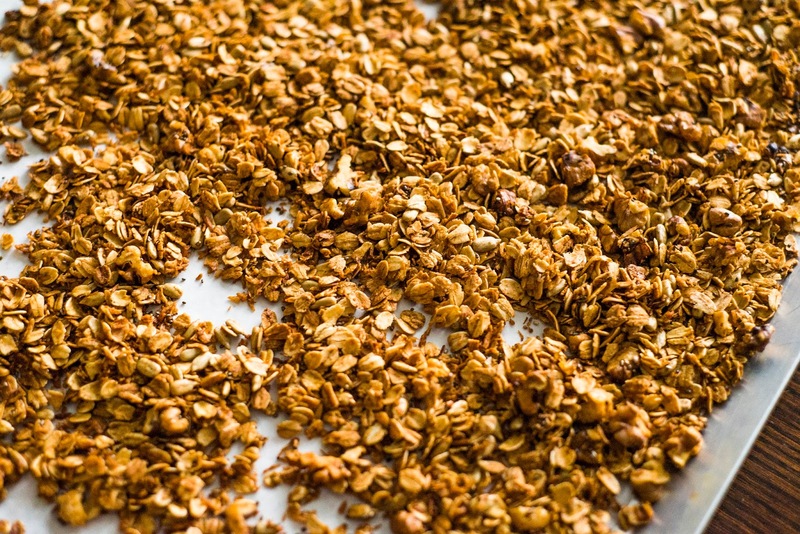 Allow granola to cool down (you can pop a few in your mouth to taste the yummy goodness :-). Store in an airtight jar or bowl for up to a month. 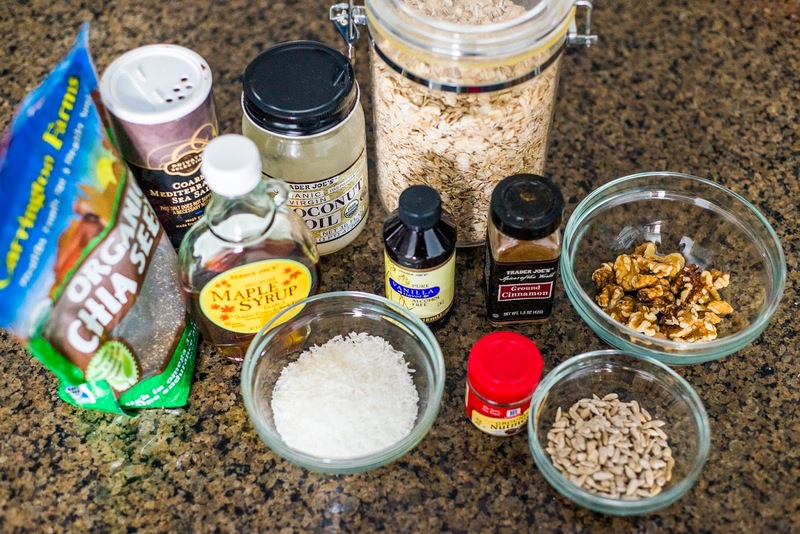 I typically don’t add dried fruit to my granola but if you would like to, do so during the last 5 minutes of baking. 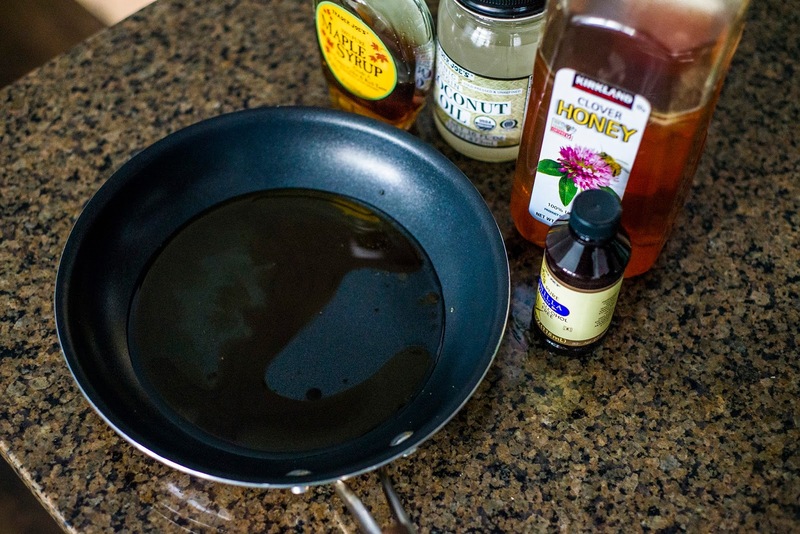 Also, this recipe is really easy to modify using what you have on hand or things that you like. For example, substitute pecans with almonds or walnuts, use pumpkin seeds instead of sunflower seeds or leave them out altogether, add dried fruit of your choice – play around with it! love love!!! 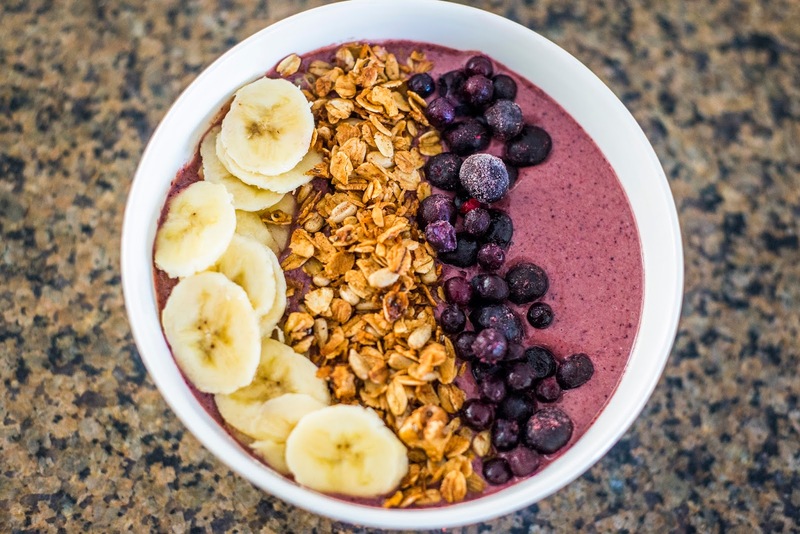 looks so easy, and healthy. Thanks for sharing. 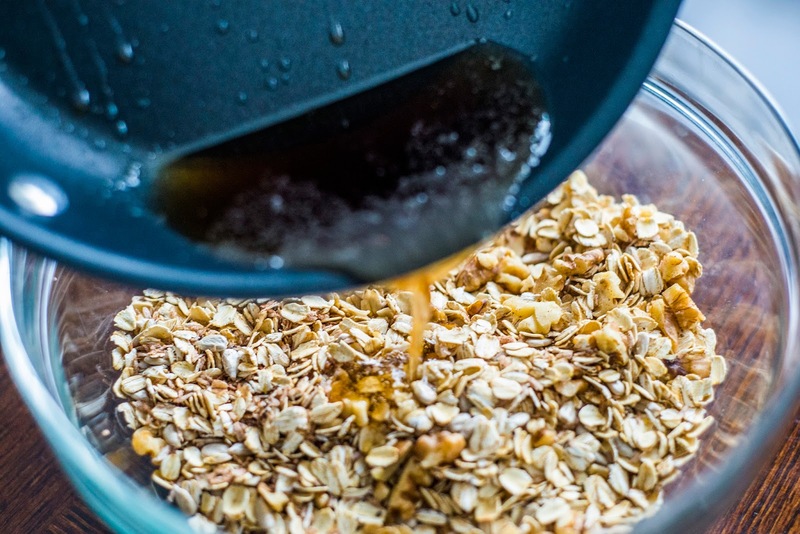 What a great granola recipe, I should try that out sometimes. Thanks for sharing and nice week lovely!